Now that you are planning a vacation to Costa Rica, you may want to brush up on your Spanish. 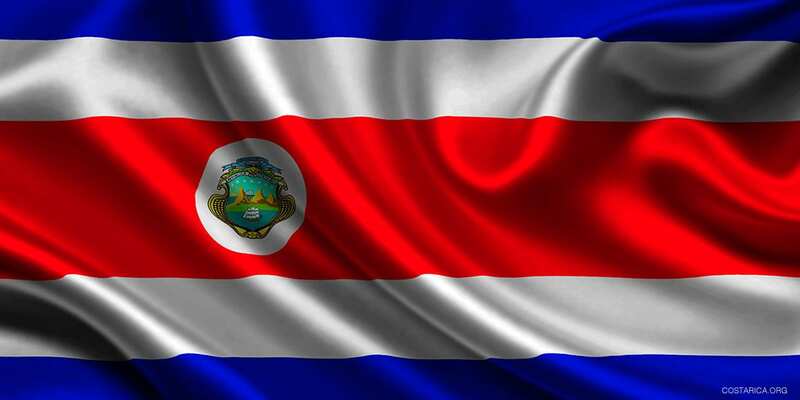 Not to worry, Costa Rican Spanish is easy to understand and most Costa Ricans speak very clear and slow and don’t have a strong accent. There are some differences between Costa Rican Spanish and the way it is spoken in other countries. We’ve put together this traveler’s guide to the Costa Rica Language which we hope that you will find helpful. The single most important phrase that you’ll need to learn is “Pura Vida”, if you learn only this phrase it will help you get by during your travels here. “Pura Vida” is a very popular saying amongst Ticos and an integral part of Costa Rican culture. You will be sure to pick it up after staying in Costa Rica for any amount of time. So what does Pura Vida mean? A literal translation to English means Pure Life. But Pura Vida means so much more, it is a way of life. There has been one way that this saying was described to me that stuck, it can be like Hakuna Matata. For those who do not now have the song stuck in their head, Hakuna Matata means no worries. Pura Vida is like that; life should be easy and not filled with worries. For many Ticos Pura Vida is simply enjoying life and being happy, living life to the fullest because life is short. Being thankful for what you have, knowing that it could be worse. After visiting Costa Rica you will want to claim the Pura Vida lifestyle for yourself, living a peaceful life with an appreciation for your family and friends, also with nature and your own personal life. How is Pura Vida commonly used? It can be used in a variety of ways, from a greeting, saying goodbye, to asking how someone is, a way to express one’s feelings or a personal characteristic. – Yes, all is well. – Did you meet Sara? Haven’t had the chance to experience the Pura Vida lifestyle for yourself? Then come to Costa Rica and embrace what Pura Vida can do for your life! Tico/Tica– a name for a Costa Rican, male and female accordingly. Tico the Sloth is also the name of My Costa Rica’s mascot. Mae– equivalent to the word “dude” in English.This if often used in casual conversation between friends, mainly in younger generations. Tuanis– cool. You’ll encounter this word more on the coasts, especially if you plan to take surf lessons on some of Costa Rica’s beaches. Todo Bien– translates to “everything is good”. Ticos rarely indulge a stranger in a conversation about their problems. Macho/Macha– refers to someone with light-colored complexion and/or hair. Additionally, as within any country or dialect, there are quite a few “colorful” expressions as well in common use in Costa Rica language. Those are omitted in this article for our younger readers, although if you ask during your visit, surely you can find a friendly local willing to share these not-so-nice words. In the Limon Province of Costa Rica, along the Caribbean Coast, you will find more English than Spanish. Many of the Ticos living there are Afro-Caribs from Jamaica, which is why you’ll hear mostly Caribbean English. In addition to Caribbean English, you might also hear a language called Mekatelyu or Patua, which is combination of English, Spanish and French. In 1950, a group of Quakers from the United States settled in Monteverde, Costa Rica. They primarily speak an older version of of English and use “thou” instead of you. When they first arrived, they mainly spoke English, but now the community is largely bilingual. Also be prepared to hear the word “Dios” or “God” thrown into just about any sentence. When talking about future plans, it’s almost expected that a Tico will say, “si Dios quiere” (God be willing). In high school or college Spanish, you may have learned that “toalla” means towel. Wrong! In Costa Rica language, it means tampon. So when asking for a beach towel go with the Tico dialect of “paño.” The other mistake, which is almost too easy to make is when referring to your heat, if you are hot. Now, “hot” can mean two things. One is adult rated, and the other conveys your temperature. Adding an “ico” at the end of a word is Spanish designates that the noun being modified is small or fast. For example, “Josito,” would be a man named Jose who may be small in stature, or “gatito” is a small cat. However, in Costa Rica, locals replace the “ico” with “tico.” For example, I will be there in a “ratito” would be changed to “ratico.” It’s cute, but confusing if you’re not aware of this Tico-ism. There are many opportunities to take Spanish classes in Costa Rica. If you want to learn fast in a short period of time, a Spanish immersion program might be the best option for you. They tend to be quite a bit more expensive, but you will take around 4 hours of Spanish every day as well as enjoy some extracurricular activities to help you practice in real life situations. Central America and Costa Rica in particular will have their own way of using the language. That is why it is best to introduce yourself to a lot of “authentic” situations and experiences. Instead of an international touring agency, why not visit a national park or fabled cloud forest with a local community? There are a lot of small and locally run touring operators that attract a large crowd of Ticos and the tours will often be given in Spanish. Sounds like a great way to improve your Spanish language skills! The list doesn’t end here, but your are sure to win some points with the locals by using these helpful Costa Rican phrases. Pura vida! Interested in more information about Costa Rica? Check out the My Costa Rica Travel Blog!